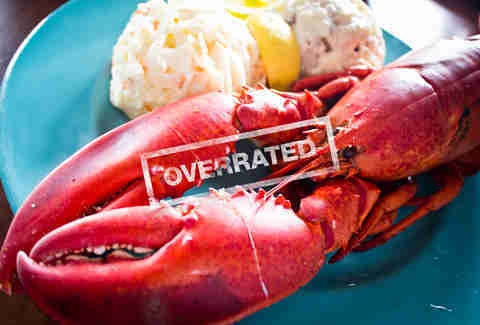 Sorry, lobster, but it's time to stop basking in your seafood glory. You were quite a catch, we thought, but now we're moving on. 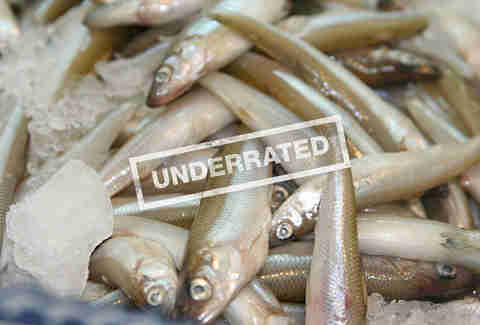 But bass isn't the only fish in the school that's way more popular than it deserves to be. 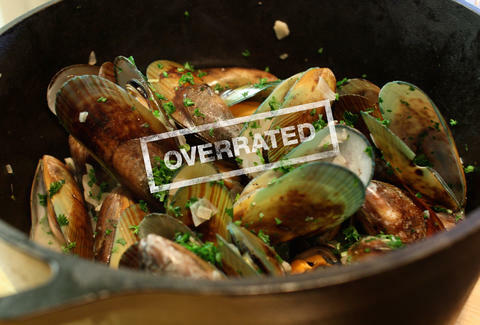 To find out which seafood mainstays are the real deal, and which ones are better off tossed to the seagulls, we asked a bunch of renowned, seafood-focused chefs which seafood items are the most overhyped, and which truly earn their place on your plate (and their price point). 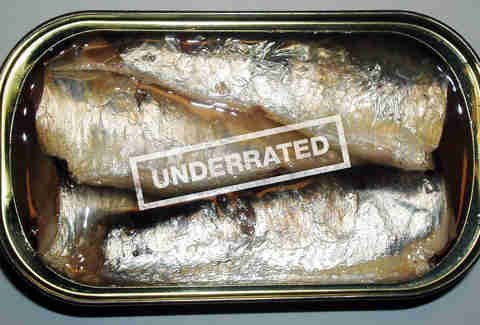 Turns out, sardines are worth their salt. “The market name is Patagonian toothfish, but in order to make it more attractive they changed the name. It’s overfished (now on the Monterey Bay watch list), and only became available after giant commercial fisheries used technology to fish them. They’re also pricey and not sustainable. A suitable replacement for Chilean sea bass is sable fish or halibut, which we serve on our menu." 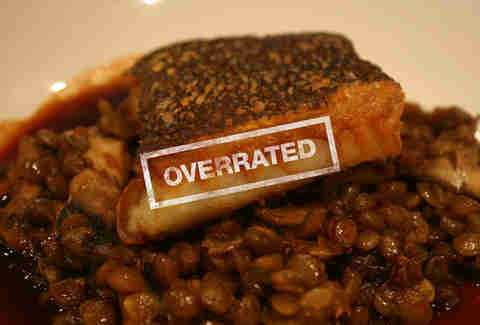 "The most overrated seafood to me is super-fancy seafood -- I don't get why it's been decided that certain seafood will be held in overly high regard. Lobster is, and can be, really delicious, but everyone thinks it's this super-fancy ingredient, and it once was very cheap and considered a low-class option. It's good when you eat it chilled or steamed with butter, but there are other things you can do with it when you don't have to regard it as so precious. Who doesn't love a lobster roll? 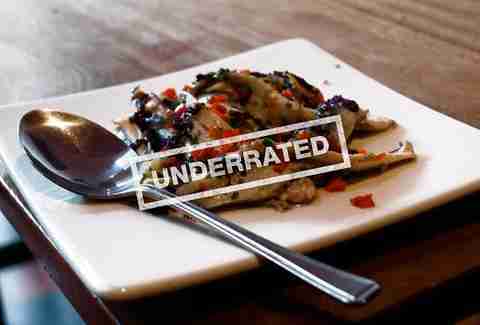 I also really like lobster fried rice. 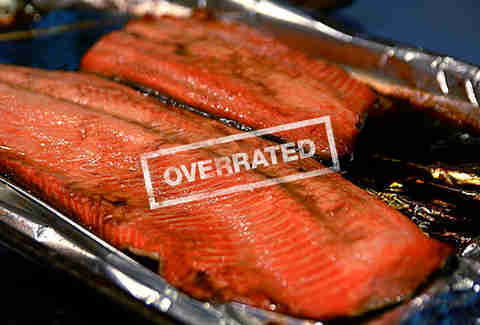 Other examples of overrated fancy seafood are caviar and sturgeon. Sturgeon is really expensive, but it's actually been around for hundreds of thousands of years, and is actually very earthy tasting." "Fish like Northern pike, lake herring, and sunfish are often really underutilized. The flavor profiles on these are all similar, but fishing for them is great fun for sportsmen -- there are some fighters in the Great Lakes. Lake fish hasn't been fancified too much. 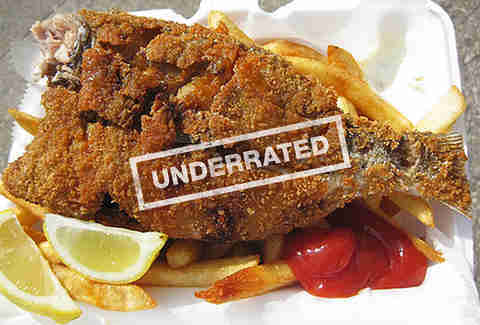 People outside the Midwest don't see these types of fish on menus often, but they're super delicious." "The most vanilla species of all sea-dwelling fin fish, and also a menu killer -- put halibut on your menu and sit on everything else. Also, some chefs are serving this bottom-dweller raw these days, which, if not cut right, can be outright offensive, stringy, and gummy. Now, being from the Northwest, we grow up eating this so called wonder of the sea -- and God knows Grandma loves it -- but there are so many other fish in the sea!" "Grilled, sautéed, or baked in any simple presentation (such as sea salt, lemon, and olive oil), this salty, oily jewel of the sea never disappoints. I also enjoy them grilled and served with a breadcrumb persillade. The sardine is a great protein that we at RockCreek serve in a variety of preparations, and is also one of the most healthy proteins we humans can eat." Rachel Freeman is a food/drink editorial assistant at Thrillist. She's the person who always wants anchovies on the pizza, and is glad they, and their sardine brethren, are finally getting the recognition they deserve. Follow her to small, salty fish at @rachelifreeman.